Foreword by Harvey Mackay A Modern Parable for Business Business, like any adventure, begins with a leap into the unknown Every great achievement begins with a vision – a dream of something exciting or different. 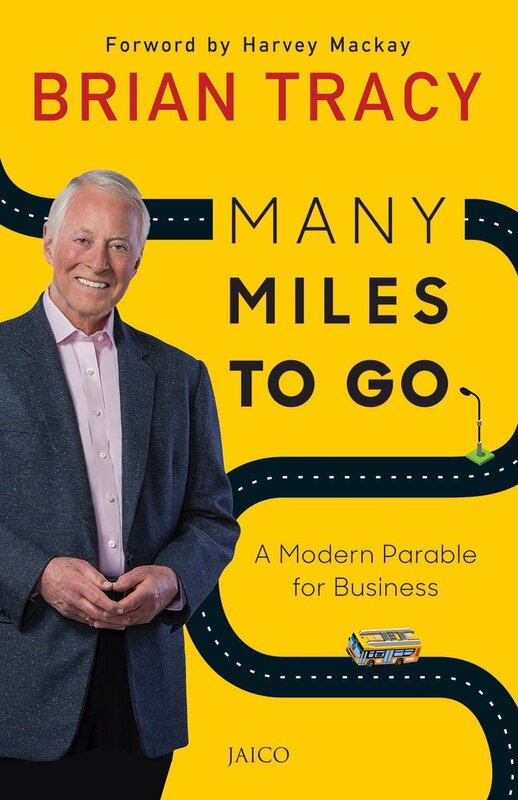 Many Miles to Go combines Brian Tracy’s personal journey of false starts, long days and narrow escapes with lessons on how to become unstoppable in his personal and professional life. The aim of this book is simple: project forward five years and imagine that your life is now perfect in every way. What does it look like? What are you doing? Who is there with you? This book teaches you that once you’ve decided where you’re going, the only question you have to ask yourself is “How do I get there?” Brian Tracy is the Chairman of Brian Tracy International, a human resources company based in San Diego, California. As an internationally renowned business consultant and motivational speaker, he addresses over 250,000 people each year on leadership, management, sales, strategic planning and personal and career development. He has produced and narrated more than 300 audio and video learning programs, which have been translated into as many as 20 languages.